Ready for a one-of-a-kind in wool cycling jersey? 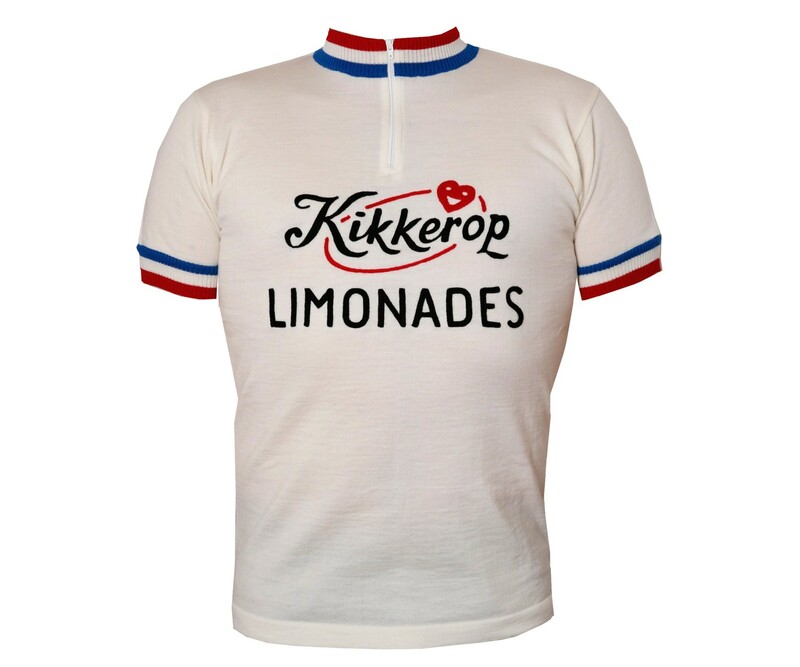 Woolistic presents the Kikkerop wool cycling team jersey. 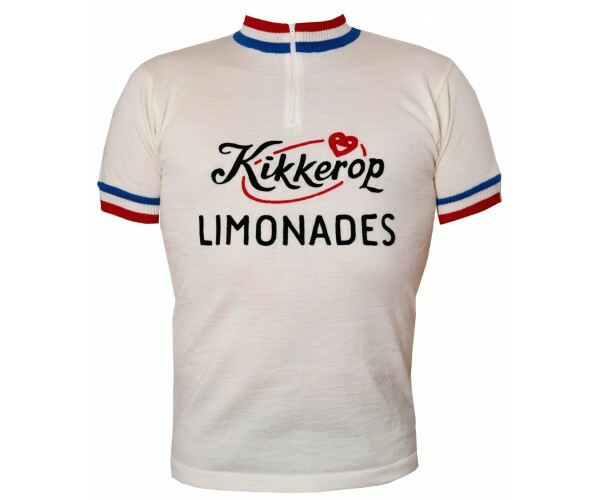 "Kikkerop wielrennen ploeg" raced in the mid 1960s on the elite amateur circuit in the Netherlands. This is a team few have seen and that makes it even more interesting. Esoteric designs rule! Made in 100% Merino wool with rare chain-stitch embroidery on front and back, just like originals. Machine washable. Was $148, now only $128 during Cyber December Sale! Only XXL in stock.